"Role-wise there was a discrepancy in the game with the generally transmitted image of a good, food-loving god, so I broadened the definition." -Masayuki Doi, from Shin Megami Tensei IV Apocalypse Official World Setting Collection + Journey Towards the World of Mythology. This was Doi's initial comment describing Dagda's Shin Megami Tensei IV: Apocalypse design. And what was the first thing mentioned? A "discrepancy." I myself glossed over the juicy implications of this quote while editing Dijeh's translations of the artbook contents, as this was before the release of SMT4A's English version and with it the definitive information about the game's "broadened" version of Dagda. Still, it was right there, plain as day, and from a key member of the development team, no less! 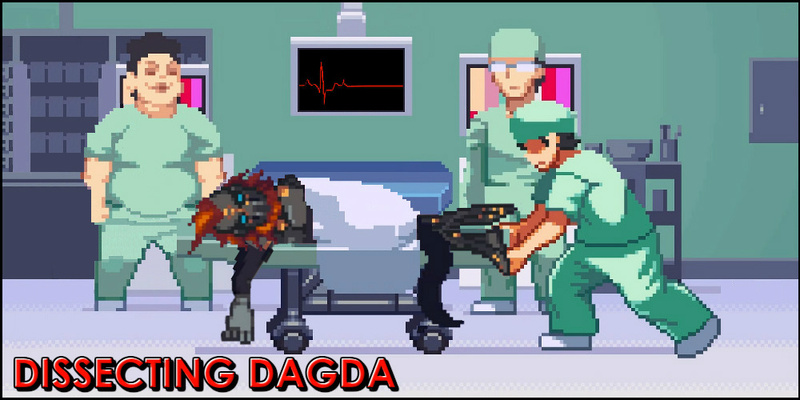 So just how profound must the differences be if even Shin Megami Tensei's new main artist has to admit right off the bat that SMT4A's take on Dagda is at odds with the mythological version?